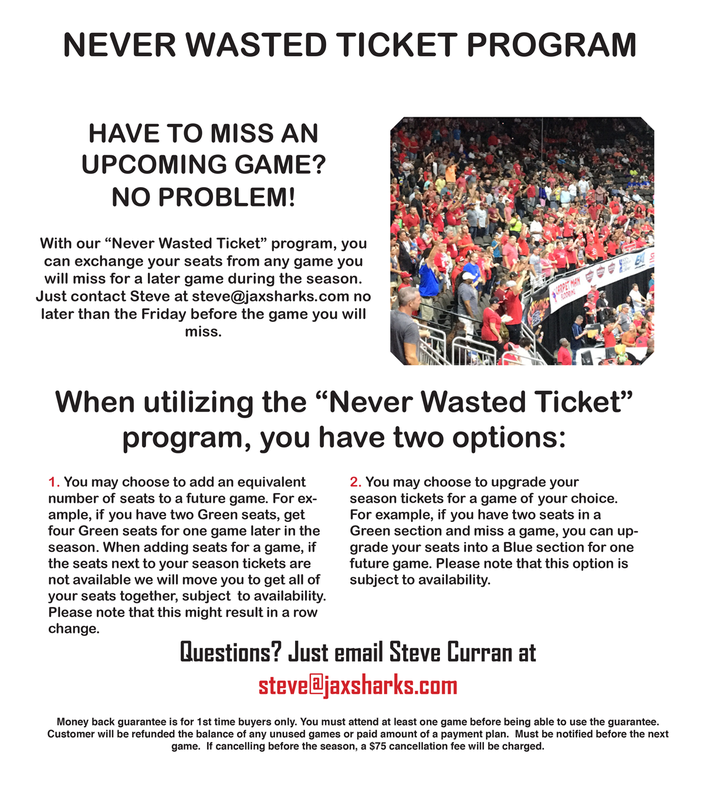 *Never wasted year to year roll option is for Sharks season ticket holders only. Banked seats are valid as long as you are a season ticket holder. If you do not renew for the following season banked seats will no longer be valid.